Qualimation has carried out specific projects for the Oil and gas sector as well as its Level III lead a team for the life estimation survey of the tanker berth at Cochin (Cochin Oil Terminal). Carried out extensive Ultrasonic testing & thickness gauging survey , Radiography & Magnetic particle inspection of Loading & Unloading arms, Naphtha pipelines, and crude oil pipelines. Qualimation are consultants for PEMCO INSPECTION SERVICES ( a subsidary DOHA petroleum construction company). 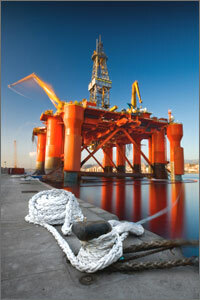 which carries out NDT for projects of QATAR PETROLEUM, QATAR FERTILIZERS COMPANY, RAS GAS. It is currently involved in complete NDT solutions including process flow, procedures, training in practical radiographs, UT, MT, PT. Conducted training of NDT/QC personal at the Oil company premises and supported with certification of NDT personals. Carried out NDT on Spheres at Kochi Refinery India. We were solely responsible for Ultrasonic testing of T, K, Y joints of Clamp on projects for ONGC under stringent ABS , ONGC inspection. We have performed monitoring of the processing of oil field equipment via customer specifications and industry wide standards. 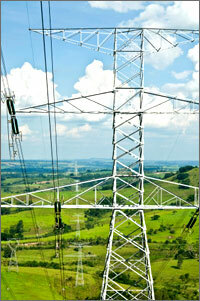 Executed field service operations, including repair, classification, and evaluation of customer product. Third party representation in NDT for Gas Authority of India Ltd for Cochin Mangalore pipeline project. NDT L-III CONSULTANCY @ GLOBAL ENERGY VENTURES, ABIDJAN (IVORY COAST ): Review of NDT procedures in RT/UT/PT/MT Procedures and also training, refresher Training for L-II Inspectors for correct use & Calibration of Black light/Light meters-3 Hrs.Developed check List for Dimensional 3 Inspectors and for Visual Connections Inspectors as per DS-1. DPI on PASSENGER LIFT 3 ( L -2282) ,Client M/S MTS&CO.LTD @ ADS,COCHIN SHIPYARD LTD. ,KERALA, 0 %weld joints of Water Tight Door Frame,Gas Tight Door Frame & call box @ passenger Lift. MPT on PASSENGER LIFT 3(Item No. L- 2282 ), Client MTS&CO.LTD. for COCHIN SHIPYARD @ ADS PROJECT. 10% Of accessible weld joints of Water Tight Door Frame,Gas Tight Door Frame and call box.